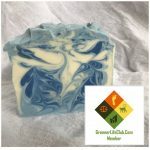 Short Product Description: Refreshing Cool Waters handmade soap. Made from all natural and sustainable ingredients. Very lightly scented. Safe for all skin types. Lovely, creamy, luxurious, and best of all, handmade! 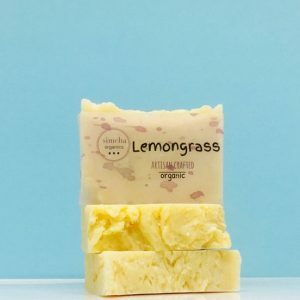 A refreshing, lightly scented bergamot and lemongrass bar with a hint of spearmint and peppermint essential oils. Leaves you feeling squeaky clean all over.